Horse racing, in all of the various places it exists, has long provided a cultural happening, a place to be seen, and a place where fashion is as much a part of the day as drinks and bets. 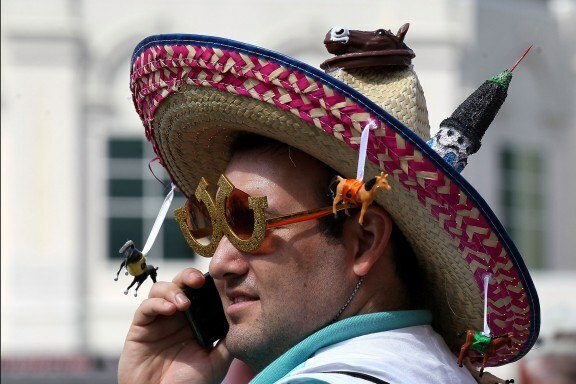 By and large, perhaps the most prevailing fashion statement associated with horse racing has been the hat. Whether male or female, a great topper provides just the right finishing touch to a sharp outfit. While the Kentucky Derby is probably the most well-noted North American event featuring a plethora of intricate and fashionable hat designs, the headpiece has its own prominent role in many parts of the world from Royal Ascot to Longchamp. As a general rule, men's hat designs tend to be a little more straight-forward and traditional, with ladies' hats ranging from subtle fascinators to wide-brim creations and everything in between. Here's a look at some cool horse racing lids over the years and around the world. Hold on to your own hat! These roaring-20's style outfits are complete with the flapper-style hats typical of the era. 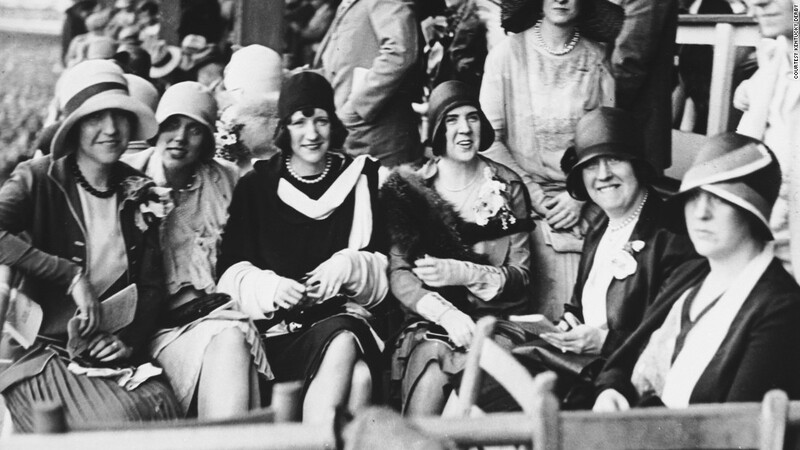 Looking like a scene from The Great Gatsby, the gals pictured in this image from the 1929 Kentucky Derby may have also enjoyed a Mint-Julep or two in Louisville, KY as Clyde Van Dusen took home the roses. No word on if the lady on the far right was the designated driver. 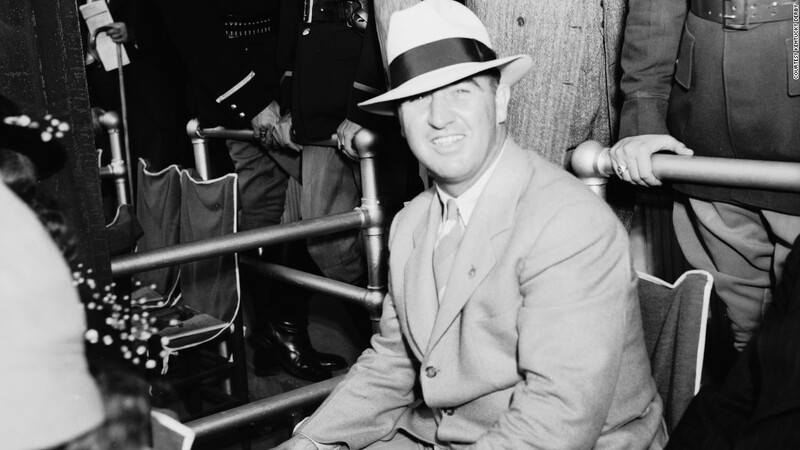 This timeless and conservative style of male headwear is as likely to be seen in modern times as it was when this gent went racing for the 1938 Kentucky Derby. In fact, if you could pop this guy out of the photo, he'd fit right in to a Derby picture taken in the new millennium - or pretty much any era. Guys have kept it timeless and simple when it comes to KY Derby dress-up. Good work fellas. Don't look for a hat like this in stores. In keeping with tradition, many Derby hats are homemade creations spun with a little imagination and worn with a lot of moxy. In Louisville, KY local artists make extra income creating and designing hats, while do-it-yourselfers often rush to the local craft store for supplies. Whoever made this hat, the color scheme is quite classy. This lady is ready to strut her stuff and enjoy a great time. Art Deco? Whatever you'd call this, it's pretty interesting. 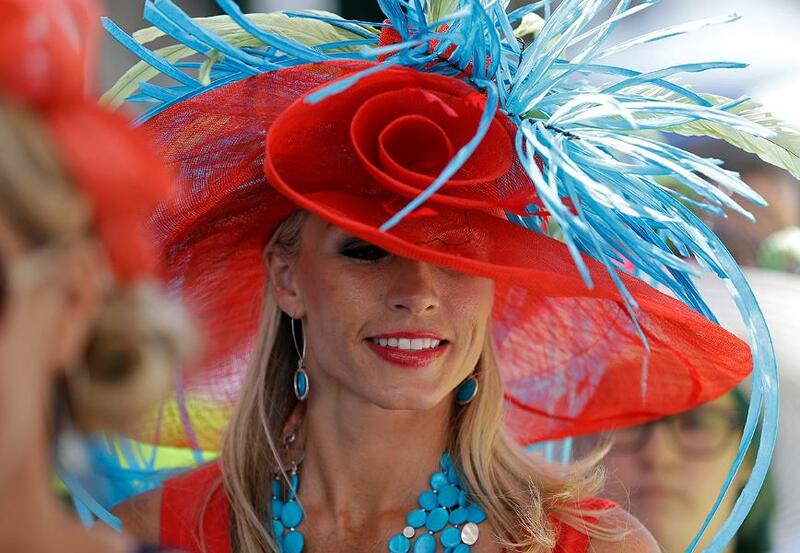 The Royal Ascot racing product is top-notch and so are the hat designs. In a setting where conventional fashion unites with modern chic, a hat like this is a great conversation piece. 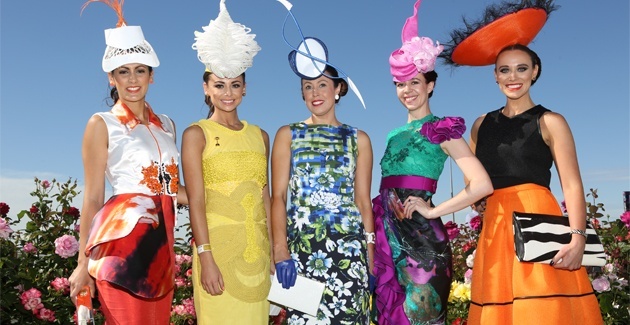 Again, while the men at Royal Ascot trend towards traditional headwear, the ladies opt for freedom of choice. 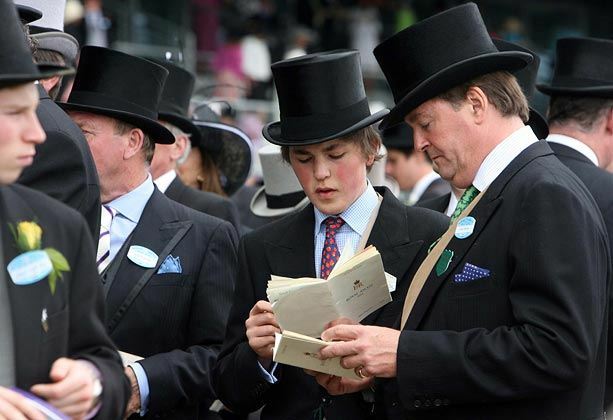 The top hat is a long-standing and timeless fashion piece for men attending the Royal Ascot meeting. 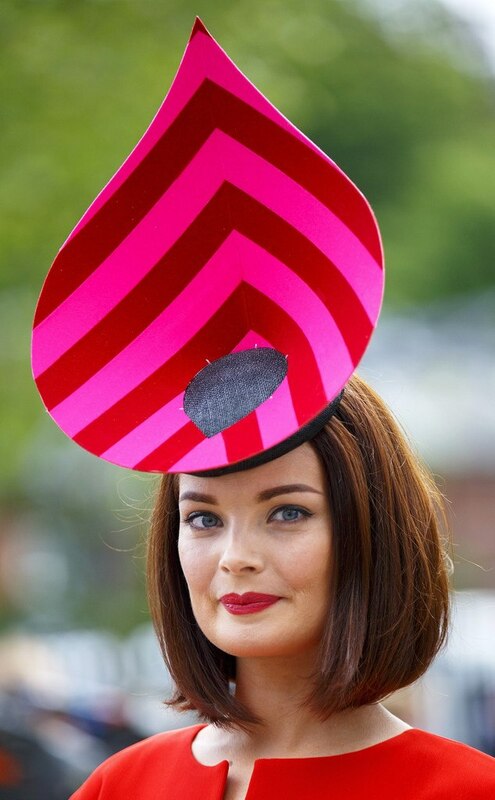 In fact, for those fortunate enough to gain entry into the famed Royal Enclosure, the hat is a requirement of the dress code and must be worn at all times. The standard black top hat is an iconic piece of Ascot, but more colorful versions can be spotted for those with a bit more flare. Parisians, of course, know a thing or two about fashion, and France's signature race, the Prix de' l'Arc de Triomphe, provides a perfect opportunity for those with the keenest sense. 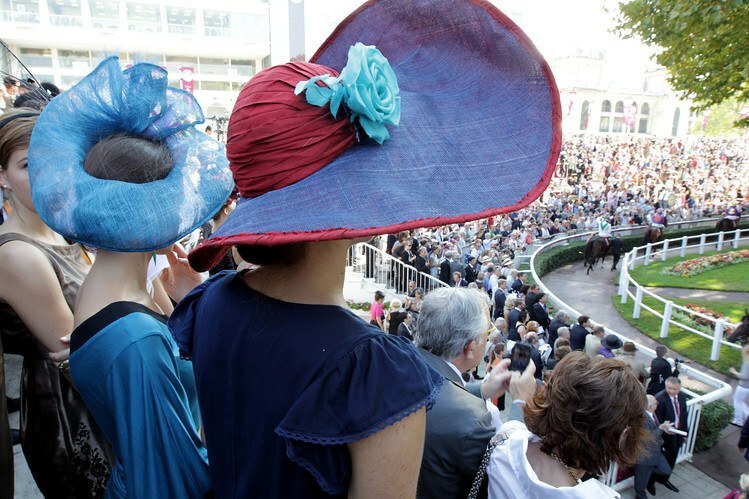 These ladies are enjoying the view from Longchamp's picturesque walking ring from underneath some fairly traditional, but elegant racetrack hats. 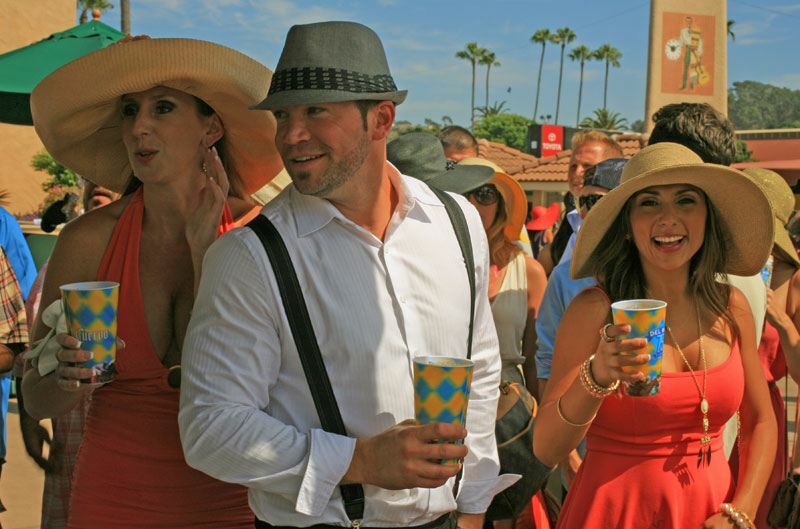 Southern California is a cultural hotbed for fashion on the west coast with San Diego's Del Mar Race Track among the most desirable destinations for the rich, famous, and socially connected each summer. The hats pictured here are among the more timeless pieces, as the gentleman's fedora is another staple of racetrack headwear. Known as "the Race that Stops a Nation," the Melbourne Cup is Australia's biggest race and also one where the locals like to look their best. These ladies are each sporting variations of the fastener, which is really more of a headpiece than a hat as they attach to a band or clip, but provide a similar visual effect. The fastener is quite popular on most major racing days including the Kentucky Derby and at the Royal Ascot meet. Getting down to brass tacks, there's no right or wrong when it comes to racetrack hats. They are a fashion statement and expression of one's individuality and quirks. This Kentucky Derby attendee certainly had a conversation-starting piece with this hand-crafted tribute to the famed twinspires and magnificent thoroughbred athletes who grace the track on the first Saturday in May.